any one of four hemoglobin A fractions (AIa1, AIa2, AIb, or AIc) to which d-glucose and related monosaccharides are covalently linked; concentrations are increased in the erythrocytes of patients with diabetes mellitus, which can be used as a retrospective index of glucose control over time in such patients. 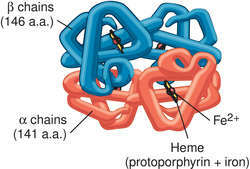 a hemoglobin A molecule with a glucose group on the N-terminal valine amino acid unit of the beta chain. The glycosylated hemoglobin concentration represents the average blood glucose level over the previous several weeks. In controlled diabetes mellitus the concentration of glycosylated hemoglobin is within the normal range, but in uncontrolled cases the level may be three to four times the normal concentration. Assays of Hb A1c, which normally has a 4-month life span, reveal whether glucose levels have been properly controlled during a period of several weeks before the test. The normal range is 1.8% to 4.0% for children; 2.2% to 4.8% for adults. Also spelled glycosylated haemoglobin. 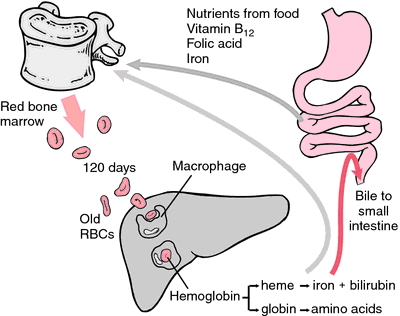 Any one of four hemoglobin A fractions (AIa1, AIa2, AIb, or AIc) to which d-glucose and related monosaccharides bind; concentrations are increased in the erythrocytes of patients with diabetes mellitus and can be used as a retrospective index of glucose control over time in such patients. A test that measures the amount of hemoglobin bound to glucose. It is a measure of how much glucose has been in the blood during the past two to four months.